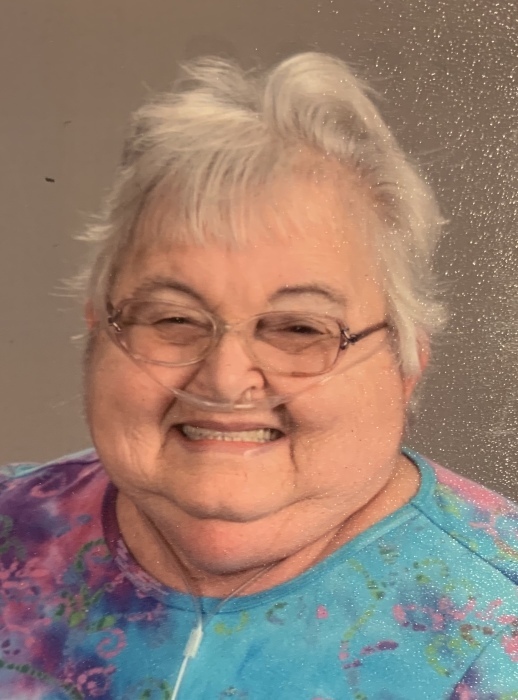 Barbara A. Flick, 74, of Freelandville went to her heavenly home on Friday, March 29, 2019. Barbara was born on March 24, 1945 in Ann Arbor, Michigan to the late Edwin J. Barnard and Lucile (Weber) Barnard. Barbara was employed by Freelandville Community Home as a house keeper and a nurses aid, she was also the co owner/operator of Flicks Trash Service. She was a member of Mariah Creek Christian Church of Oaktown and was actively involved with several local charity groups and fundraising events. Barbara leaves behind her loving family which includes; five sons, Charles Flick (Marcia) of Freelandville, Steve Flick (Sharon) of Freelandville, Dennis Flick of MO, Billy Flick (Mary) of MI, and Daniel Flick (Laura) of NC; three daughters, Joanne Keys (John) of Sullivan, Brenda Whitis of New Albany, and Charlene Jones of OR; several grandchildren; and several great-grandchildren; one sister, Sherryl McMahan (Edward) of FL; one cousin, Marsha Rendel (Mark) of MI. Barbara was also preceded in death by; her devoted husband of nearly forty-three years, Orval Flick; four children; and one brother. Visitation will be on Monday, April 1, 2019 from 4:00 P.M. until 8:00 P.M. at Fredrick and Son McClure-Utt Funeral Home, Bicknell Chapel, 109 E. 6th Street Bicknell, IN 47512. Funeral service to follow Tuesday, April 2, 2019, at 10:00 A.M. and be officiated by Pastor Matt Hoffman, also at the funeral home. Burial will follow in Bicknell Memorial Cemetery. In lieu of flowers, memorial contributions may be made to Mariah Creek Christian Church, 9366 Oaktown Rd. Oaktown, IN 47561. You may leave an online condolence at www.fredrickandson.com.